Hold on, first let me tell you about the Alpha test that started today. 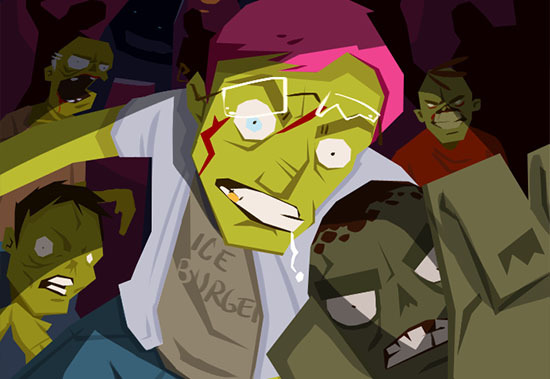 The first of the zombie Kickstarter backer images. 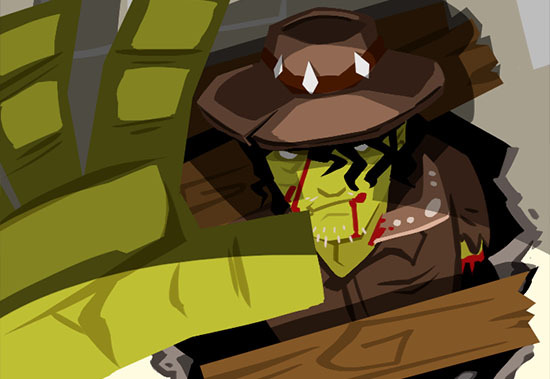 Backers of tier $15 and up, plus anyone who has preordered the $25 deluxe version of the game from http://rebuildgame.com have been invited to playtest the first very raw version of Rebuild: Gangs of Deadsville. If you should be one of those people but didn’t get the email, let me know. It’s an exciting, and terrifying, and sad and joyous occasion for me to finally share this game, which I started just over a year ago when I first set up http://wiki.rebuildgame.com and asked fans for suggestions. Of course none of them said “let us drag survivors’s faces around” or “how about realtime”, which is why I need to test these things first and get some feedback. I’ve been coding the game for six months, which makes it half finished. I hope my alpha testers keep this in mind; things are going to improve with each alpha release! Okay, now that’s out of the way, let’s get back to the vote. So, I already added Seasons as an update to Rebuild Mobile last year. It’s neat: snow blankets the world in the winter so you can’t farm. Saving up enough supplies to survive until spring is a big deal, and starvation results in some desperate measures. Snow and rain effects. Also, Santa Claus. On the other hand, I only have a rough idea of what I’d do for relationships. I was playing King of Dragon Pass and there was this string of events about a feud between two families. I loved that it kept coming up, these old enemies causing trouble for eachother. Why shouldn’t Rebuild have enemies, people who are made miserable if forced to work together, who drive the fort apart with their disagreements until a trained Leader can reconcile them. And the opposite: friends who get a boost from being together on missions; brothers who show up side by side and stick together until a tragedy forces them apart. Lots of opportunities for events with tough choices and ways to make the characters feel deeper. Then the children. After seeing The Road, I thought Rebuild’s lack of kids was pretty conspicuous. Sure they’re mostly useless, they’re always needing protection and rescuing, but they’re such a necessary part of any story about the fall or rebirth of civilization. Kids are what it’s all about… and this from a 34 year old who doesn’t want any of her own. I don’t think you’d see kids on the map, but they’d appear in the scrolling lists so you could check their progress. Maybe I’d find a way for you to watch them grow up and become useful members of society… or maybe they’d be more like pets, just making people happy they’re around. Either way, another good opportunity to generate events that make you care about the lives of the people in your fort. Oh wait I have more pictures to show you first. This is how I feel about malls, too. I’m not sure which one’s my favorite, but the boomerang in the neck is a forerunner. More coming soon! I was going to tease you one more time by talking about the t-shirts, but nah, let’s get on with the show. Winning the stretch goal vote by 998 votes to 720, backers chose…. I was a bit surprised after the fuss made about it before, but the people have spoken and the majority rules. 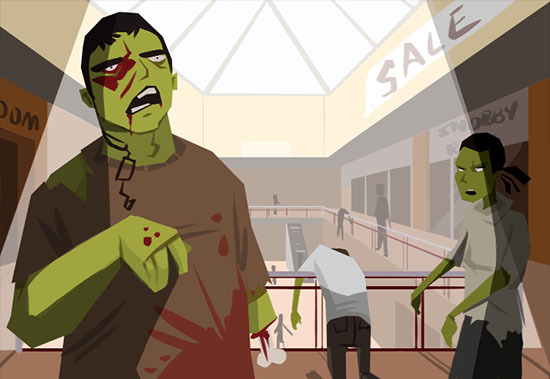 People want to see friends, feuds, and little ankle biters being terrorized by the undead. Hopefully in good taste. Cheers everyone and see you on the forums! 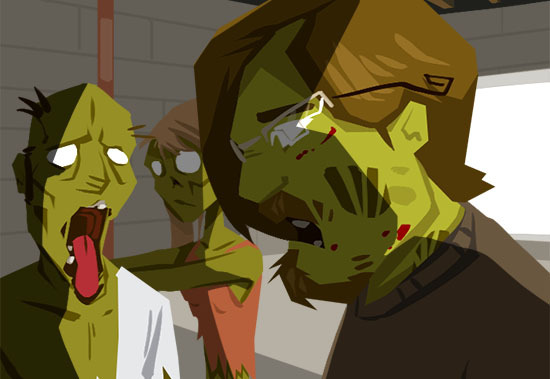 an idea for relationships might be percentage chances for the factions to game different every games session so that any choices made in a previous game can not be counted on to use as a precedent in a future game, so as an example the pig farmers faction mabey give the faction 0-100 % to be actuly butchering zombies for meat in stead of healthy food, and as a counter option 0-100% the farmers are using good meat but its still not pig. This would give the game a more unique gameplay and give better experiences.